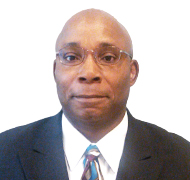 Y-Tech announces the hiring of Jeffrey D. Freeland as Vice President of Army Programs. We welcome Jeffrey Freeland as a strategic new hire to lead our growing business with the US Army. He is a part of a Y-Tech leadership team that is fully committed to helping our Army customers and has a proven track record of success in winning business and growing organizations. Y-Tech, LLC. announces that it has hired Jeffrey D. Freeland as Vice President of Army Programs, to lead the company’s growth in the DoD market. Mr. Freeland brings a proven record of leadership in highly competitive markets, delivering on customer commitments, exceeding targets and achieving growth for his organizations. This strategic movie reflects Y-Tech’s commitment to expanding its business in providing solutions and services to the US Army. Mr. Freeland is a combat veteran with a career that spans nearly 31 years having served 26 Years in the United States Army Corps of Engineers and in the Private sector. Career highlights include Director of Engineering, Joint Task Force Bravo, Commander 37th Engineer Battalion, Airborne, Fort Bragg NC, J5 (Plans, Policy, Interagency, International) Joint Improvised Explosive Device Defeat Organization, and Program Manager, J8 (Acquisition) Integration and Delivery Division, Joint Improvised Threat-Defeat Organization. Mr. Freeland holds a Master of Science in National Resource Strategy from Industrial College of The Armed Forces (ICAF), Masters of Science in Administration (MSA) from Central Michigan University and a Bachelor of Science in Construction Technology from Norfolk State University. Mr. Freeland is Project Management Professional (PMP) Certified, a member of the Project Management Institute (PMI) Southern Maryland Chapter, member of the Society of Military Engineers (SAME), and Defense Acquisition University (DAU).